The 109th Airlift Squadron (109 AS) is a unit of the Minnesota Air National Guard 133d Airlift Wing located at Minneapolis–Saint Paul Joint Air Reserve Station, Minnesota. The squadron is equipped with the C-130H Hercules. The 109th AS is the oldest unit in the Minnesota Air National Guard, having over 90 years of service to the state and nation. It is a descendant organization of the World War I 109th Aero Squadron, established on 27 August 1917. It was reformed on 17 January 1921, as the 109th Observation Squadron, being the first of 29 National Guard aviation squadrons to receive federal recognition following World War I. The 109th Airlift Squadron traces its origins to the 109th Aero Squadron, being organized on 28 August 1917 at Kelly Field, Texas. The men of the squadron were from almost every section of the United States, recruited largely though the Columbus Barracks, Ohio and the Recruit Depot at Fort Thomas, Kentucky. At Kelly Field, the squadron was put into indoctrination training, with drills, hikes, guard duty, fatigue work and other things that are done in military training camps. Once basic indoctrination training was completed, the 109th was ordered for overseas duty, being ordered to report to the Aviation Concentration Center, Garden City, Long Island on 24 October. It was there that final arrangements were made for the trip overseas, complete equipment was drawn and a final few transfers were made. The squadron left Garden City on 7 December 1917 in a train bound for St. John's, Newfoundland, arriving on 10 December. There, it boarded the SS Tuscania, and proceeded across the Atlantic and arrived at Liverpool, England on 26 December. It then moved by train to the English Channel port of Southampton, where it waited at a Rest Camp for several days before crossing to Le Havre, France on 28 December. It again waited for transportation at Le Havre before finally arriving at the Replacement Concentration Center, AEF, St. Maixent Replacement Barracks, France, arriving on 2 January 1918. On 17 January 1918, the squadron was again moved, this time to Romorantin Aerodrome, in central France. There, along with the 75th Aero Construction Squadron and the 116th Aero Squadron, it was part of the first regular detachments of Americans to be stationed at the airfield. It was quartered in French barracks at the Camp de Bluets, on the outskirts of the town of Romorantin. Members of the squadrons were at once put into construction work to develop the Air Service Production Center No. 2. Work was performed in erecting buildings and also the construction of a railroad line into the camp next to the airfield. After several weeks of basic construction at the camp, much of the work was transferred to Chinese laborers who began to arrive and the Americans were placed in charge of details of these workers. 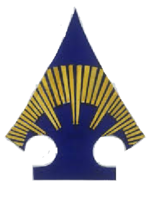 On 1 February, the designation of the squadron was changed from the 107th to the 802d Aero Squadron. The squadron was reassigned to the Transportation Division, Air Service on 20 February, its work becoming the construction of the first vehicle repair shop on the field, installing machinery. Large qualities of vehicles had begun to arrive, and the men were put to work in their assembly. Automobile trucks, trailers, tractors and over vehicles were continually arriving damaged from the front and this equipment was either salvaged or repaired. Some squadron members were assigned to duty with the Railway and Marine Sub-Divisions and assisted in the operation of the narrow-gauge line between Romorantin and Pruniers. Also, as part of the Transportation Division, many of the men were detailed for Convoy Duty. At one time or another, every man in the squadron did duty as a driver of some kind of motor vehicle. This work consisted in conveying truck trains loaded with various kinds of materiel, supplies and equipment from the various Base Ports along the coast and the supply depots in France to places along the front from Belgium to the American sector in Alsace-Lorraine. During the early spring of 1918, a large detachment of men from the 802d was sent to Orly Field, near Paris. For several months, these men were attached to several French Army units as truck drivers, and in this capacity, made frequent trips to the Front and were often under enemy fire. Also, the detachment around Paris was constantly subject to German air raids directed at Paris, and many of the men were in Paris when the "Grand Bertha" long range artillery was using the Eiffel tower as an aiming point. Many of the men narrowly escaped death while being in and around Paris at the time, as well as the convoy duty to the front and back to Orly. When the great German drives threatened to smash the lines north of Paris in March and later in the summer of 1918, members of the squadron did their bit in moving troops, hauling ammunition and supplies to the front, while others worked at the depots loading trucks and being prepared to help in the evacuation of Paris if necessary. When the American Army halted the Germans' big drive at Chateau Thierry, for many days members of the 803d assisted in moving troops and supplies to the front lines and in transporting the wounded to the rear. On this and numerous other occasions they also helped the civilian population in escaping from the battle lines. During the summer of 1918, members of the squadron not assigned to convoy work were kept busy at Romorantin repairing and assembling vehicles. On many occasions the men worked day and night to fill rush orders from the front for equipment. During October 1918, almost all members of the squadron, with the exception of 40 men retained for convoy duty, were reassigned to the airplane shops at Romorantin. In these shops, the men assisted in the assembly of Dayton-Wright DH-4 "Liberty" planes, recently arrived by ship from the United States. After the signing of the Armistice with Germany on 11 November, the entire squadron was again assigned to transportation and convoy duty, this time performing collection of equipment from front-line units and also moving personnel back from the lines. The 803d returned to the United States in late May 1918. Arrived at Mitchel Field, New York, where the squadron members were demobilized and returned to civilian life. In 1920 the Minnesota National Guard organized an aviation squadron, the 109th, on paper. On 26 September 1920 the Adjutant General, the Assistant Adjutant General, and Captain Ray S. Miller rented a Curtiss Oriole biplane to launch an 8-day flight to Washington D.C. Their aim was to have the 109th Observation Squadron recognised as the first federally recognized National Guard flying squadron. Subsequently, the 109th Observation Squadron, the predecessor to today's Minnesota Air National Guard, passed muster inspection, and was federally recognized by the Militia Department on 17 January 1921. It was the first National Guard aviation squadron to receive federal recognition following the First World War. On recognition or beforehand the squadron was assigned as a divisional observation unit for the 34th Division of the National Guard. It began flight operations, flying the JN-6H "Jennys" in 1923. The 109th had nine aircraft in their inventory, and the Jenny was the first aircraft assigned the 109th Observation Squadron in 1922. However, before they would receive the "Jennys" the squadron had to move from Curtiss Field in St. Paul to Speedway Field in Minneapolis. The 109th flew out of Speedway Field, a former auto race track. Jennys were flown by the 109th through the end of 1927. It was called to federal duty in 1941 (World War II). The 109th Observation Squadron was assigned to the 67th Observation Group at Esler Army Airfield, Louisiana in August 1941. The Squadron flew antisubmarine patrols along the Gulf of Mexico coastline after the Japanese attack on Pearl Harbor. The 109th was transferred to the European Theater of Operations (ETO), August–October 1942, becoming part of the VIII Fighter Command of Eighth Air Force and then in late 1943 it came under the command of the IX Fighter Command of Ninth Air Force. 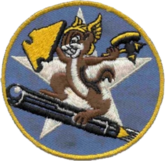 In May 1943 it was renamed into the 109th Reconnaissance Squadron and then the 109th Tactical Reconnaissance Squadron in November 1943 and then another name change in 1945 to the 109th Reconnaissance Squadron. In addition to flying photo reconnaissance missions in support of the strategic bombing missions in the ETO, the 109th flew photo reconnaissance missions in preparation for the D-Day landing at Normandy. The squadron also flew photo reconnaissance missions over the V-1 bomb sites in France. The wartime 109th Tactical Reconnaissance Squadron was re-activated and re-designated as the 109th Fighter Squadron, and was allotted to the Minnesota Air National Guard, on 24 May 1946. It was organized at Wold-Chamberlain Field, Minneapolis, and was extended federal recognition on 28 August 1947 by the National Guard Bureau. The 109th Fighter Squadron was entitled to the history, honors, and colors of the 109th Tactical Reconnaissance Squadron. The squadron was equipped with F-51D Mustangs and was assigned to the 133d Fighter Group. The new unit's mission was the air defense of Minnesota. On 2 March 1951 the 109th was federalized and brought to active-duty due to the Korean War. It remained assigned to the 133d Fighter-Interceptor Group and initially was moved to Holman Field, St. Paul when activated. It was returned to Wold-Chamberlain Field, Minneapolis on 28 June for the remainder of its activation. It was reassigned to the Air Defense Command 31st Air Division on 6 February 1952, and returned to the control of the State of Minnesota on 1 December 1952. After the Korean War, the squadron was re-formed by 1 January 1953 and resumed its air defense mission. Was upgraded by ADC in 1954 to the dedicated F-94A Starfire all-weather interceptor. With this new aircraft, the mission of the 109th Fighter-Interceptor Squadron changed from day interceptor to day and night all-weather interceptor. In 1958 the 109th again upgraded to the improved F-89H Scorpion. In 1960, the 133d FIG was reassigned to Military Air Transport Service (MATS), trading in its air defense interceptors for 4-engines C-97 Stratofreighter transports. With air transportation recognized as a critical wartime need, the unit was re-designated the 133d Air Transport Group (Heavy). During the 1961 Berlin Crisis, both the Group and squadron were federalized on 1 October 1961. From Minneapolis, the 109th ATS augmented MATS airlift capability worldwide in support of the Air Force's needs. It returned again to Minnesota state control on 31 August 1962. Throughout the 1960s, the unit flew long-distance transport missions in support of Air Force requirements, frequently sending aircraft to Hawaii, Japan, the Philippines, and during the Vietnam War, to both South Vietnam, Okinawa and Thailand. The C-97s were retired in 1971 and the 133d TAG was transferred to Tactical Air Command (TAC). It transitioned to the C-130A Hercules theater transport, flying missions in support of TAC throughout the United States and Alaska. In 1974 the unit was returned to Military Airlift Command (MAC) when TAC transferred out its troop carrier mission. In the early 1970s, USAF's "Total Force" policy brought the wing into full partnership with its Air Force counterparts by mandating co-operation and teamwork between Air Guard and active duty Air Force units in all phases of military airlift operations. As a result, in succeeding years the unit's C-130s traveled to all corners of the world, airlifting troops, passengers, and cargo during training missions, exercise deployments, and real-world military operations to support Federal and State military airlift requirements. ** This unit is not related to another 109th Aero Squadron (Service) that was activated in March 1918 at Rich Field, Waco, Texas. Gorrell, Col. Edgar S. (1974). History of the American Expeditionary Forces Air Service, 1917-1919. Series E: Squadron Histories. Vol. 25 800th-803d, 805th, 806th, 825th-830th, 835th, 837th, 840th, 875th, 1099th, 1101st-1108th, and 1111th Aero Squadrons. Washington, DC: National Archives and Records Service, General Services Administration. OCLC 215070705. Maurer, Maurer, ed. (1983) . Air Force Combat Units of World War II (PDF) (reprint ed.). Washington, DC: Office of Air Force History. ISBN 0-912799-02-1. LCCN 61060979. Retrieved 17 December 2016. Order of Battle of the United States Land Forces in the World War (PDF). Vol. 3, Part 2 Zone of the Interior: Territorial Departments; Tactical Divisions Organized in 1918; Posts, Camps and Stations (Reprint ed.). Washington, DC: Center of Military History. 1988 . Retrieved 1 November 2015. Wikimedia Commons has media related to 109th Airlift Squadron.